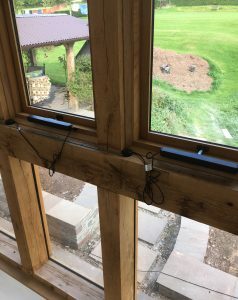 Rocburn were asked to supply a solution for high windows with oak frames in a barn conversion and a rain sensor. 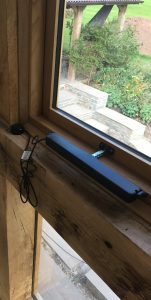 This job required a sleek modern window openers that would work fit on traditional oak window frames. The Kato 230v black openers we supplied are chain actuators with an adjustable stroke (max 500mm), 30kg pushing force with neat slim-line metal bodies. 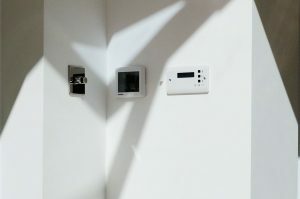 This is one of the many projects we have supplied electric window openers and actuator equipment for. For advice please contact one of our sales team either using the form below, by email sales@rocburn.com or calling us on 01702 826 267.